A Tubular Battery, which is actually an electric cell, is a device that produces electricity from a chemical reaction. In a one cell battery, you would find a negative electrode; an electrolyte, which conducts ions; a separator, also an ion conductor; and a positive electrode. 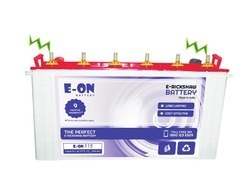 Understanding the requirements of patrons, we are engaged in Manufacturing, trading and supplying a wide array of E-ON E Rickshaw Batteries which has been tested and approved by ICAT. These are quality tested on various parameters that include functionality, heat resistance and durability before their transit to the clients. 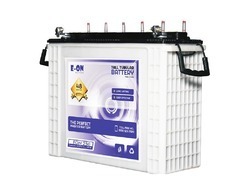 Understanding the requirements of patrons, we are engaged in distributing, trading and supplying a wide array of E-ON Inverter Batteries .These are quality tested on various parameters that include functionality, heat resistance and durability before their transit to the clients. 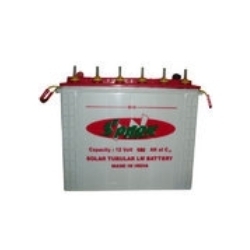 We are manufacturers and suppliers of Spark Solar Batteries. Solar Battery are use in village where electricity consumption are very bad. It change the vilagers life style. We are manufacture the solar battery as per customer description and feed back. We are manufacturing Spark Brand, Power Plant Solar Battery which is used for power plants in many ways.We are manufacturers and suppliers of Power Plant Solar Battery. Solar Battery are use in village where electricity consumption are very bad. It change the vilagers life style. 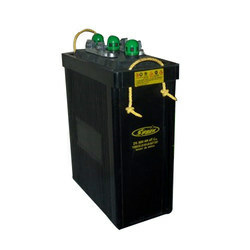 We are manufacture the solar battery as per customer description and feed back. Looking for Tubular Battery ?